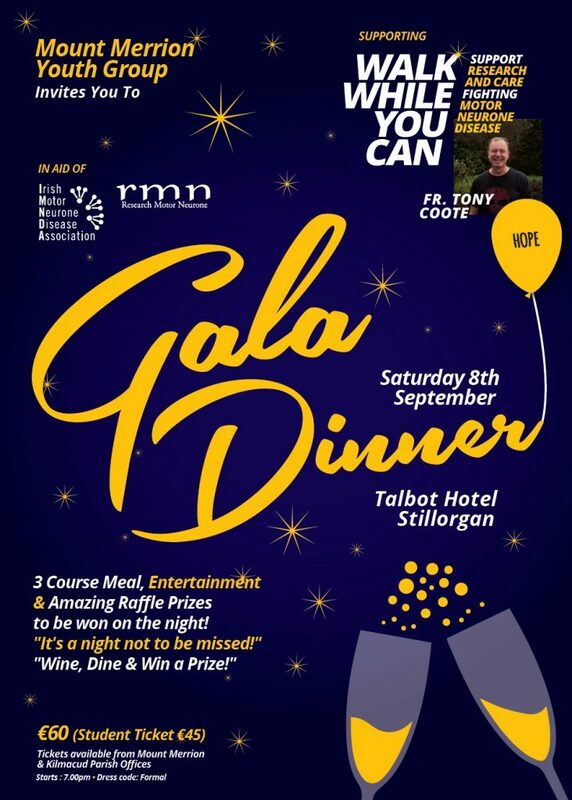 The Mount Merrion Youth Group invites you to a fabulous Gala Dinner on Saturday 8th September in the Talbot Hotel Stillorgan in support of the Walk While You Can with Fr Tony Coote in aid of the IMNDA and Research MND. Tickets are only €60 (€45 for students) and can be purchased from the Mount Merrion and Kilmacud Parish Offices. This includes a 3 course meal, entertainment and an amazing raffle. What more could you want!? Wine, dine and win a prize! Don’t delay – get your tickets today!